In a previous article, I conducted a basic analysis of the economy and monetary scheme of Second Life, a three-dimensional virtual world where users can create virtual goods and services and exchange them with one another. I showed that thus far, Linden Lab, Inc., the creator of Second Life, has taken a mostly hands-off approach to its economy, with the notable exception of its fiat currency scheme. "As of January 22, 2008, it will be prohibited to offer interest or any direct return on an investment (whether in [Linden dollars (L$)] or other currency) from any object, such as an ATM, located in Second Life, without proof of an applicable government registration statement or financial institution charter. We're implementing this policy after reviewing Resident complaints, banking activities, and the law, and we're doing it to protect our Residents and the integrity of our economy." This policy has strong parallels to the adoption of 19th-century banking regulations in the real world. These regulations were supposed to stop wildcat banking, where ambitious bankers expanded credit through risky loans until defaults led to insolvency and left their depositors empty-handed. Similarly, in Second Life, unregulated banks have offered demand deposits bearing interest rates of 40% or more, at least one of which never actually had any loans underlying its interest-bearing deposits. Cases such as that are almost certainly fraud and should be adjudicated as such, but Linden's adoption of a draconian ban on all interest-paying banks, which had been preceded by a ban on gambling, has established a clear pattern of economic interventionism. This does not bode well for Second Life users, for as Ludwig Von Mises has taught us, middle-of-the-road policy leads to socialism. Who Needs Virtual Banks Anyway? Strangely enough, there is no need in a virtual world for "banks," in the strict sense of the term. In Second Life and many other virtual worlds, the software interfaces have robust and secure forms of money with integrated payment systems. Unlike the real world, where a bank provides a secure alternative to storing large amounts of money under one's mattress, there is no risk in Second Life of being burglarized or robbed at gunpoint by another avatar. Although there may be some risk of having one's account hacked, a virtual bank is presumably no more secure and is probably a higher-profile target than any one individual. It is not my intent to quibble over semantics, but it is necessary to identify the actual function of "banks." In the real world, it is to warehouse one's money, but in Second life, the nonfraudulent banks could be better described as either investment funds, where depositors are promised some portion of the yield generated by the fund's investments, or as brokerage accounts that allow depositors to invest among the different stocks offered on the bank's associated exchanges. While some banking institutions offered these services in addition to their interest-bearing accounts, those institutions that do not pay interest appear to be unaffected by the ban. The charge against unregulated fractional-reserve banks in the real world was that they would issue more bills of credit than they could possibly redeem and that these bills of credit would circulate as money, leading to inflation, boom, and bust when the banks defaulted on their deposits. That much was true. However, the regulations that were adopted simply sought to limit the fraud to a manageable level, in contrast to a free market, which would have had the tendency to eliminate it altogether. In the case of Second Life, the prospect of inflation caused by wildcat banks is not a practical concern. I am not aware of any notes issued by a bank in Second Life ever circulating as money. This is because it would be highly impractical for that to occur. As mentioned before, the L$ enjoys a strong competitive advantage over any other would-be moneys because it is part of the payment system integrated into the default Second Life software client. Furthermore, one can be sure that Linden would move swiftly to protect its highly-profitable fiat currency scheme from any competition, just as the federal government raided NORFED for promoting an alternative real-world monetary scheme based on precious metals. In actuality, the only entity involved in this discussion that is inflating the money supply is Linden itself. Linden has created about US$14.6 million worth of L$ with no backing whatsoever. Although the L$ apparently falls outside the federal government's definition of money (this can be inferred because Linden hasn't been shut down), it clearly functions as a medium of exchange and is very much indeed money. This evasion of the legal definition of money has parallels to the dubious accounting practices that often accompany corporate scandals, where financial statements technically comply with the rules that govern them, but paint a picture that does not reflect reality. "Rather than being fraudulent, the L$ is simply a terrible solution for its supposed ends…"
A natural question to ask, then, is whether or not Linden is committing fraud by creating money out of thin air and selling it to people for US$. The answer is no — from a natural-law perspective at least. Linden explicitly describes the nature of the L$ in its terms of service and states that they are not redeemable for US$. Reading closely, it even appears that, for all practical purposes, they are actually Linden's property. Rather than being fraudulent, the L$ is simply a terrible solution for its supposed ends, to provide a stable medium of exchange that will allow for a robust and growing economy. Using the L$ is like implementing a monetary scheme during wintertime that uses scoops of ice cream as money. It could work pretty well for a little while, but come springtime, it would result in a huge mess. As shown above, the fractional-reserve banking occurring in Second Life is not inherently inflationary and would not have led to boom and bust in and of itself. Accordingly, Linden's justification of banning all interest-paying banks in order to "protect the integrity of its economy" is either ignorant or disingenuous (probably the former). The other justification Linden provided was to "protect its Residents," presumably from the threat of fraud, which really means to favor one group (naïve depositors) at the expense of another (lenders, the entrepreneurs whose businesses they capitalize, and all of the consumers who would purchase goods from those entrepreneurs). This favoritism raises some very obvious questions regarding the ethics of the ban. For classical liberals in favor of property rights and opposed to any form of interventionism, the question of whether or not Linden's ban should be considered unjust is not as straightforward as it might seem. To make this determination, we must first establish what rights Second Life users have. The basis of my argument will be natural rights, particularly as elaborated by Murray Rothbard in The Ethics of Liberty. Proponents of natural rights generally hold that one can make an unclaimed, scarce natural resource his property by mixing his labor with it. In Second Life, one can mix his labor with atomistic objects to produce a desirable good. Having created said good, one retains the sole ability (aside from Linden) to reproduce, sell, or otherwise dispose of it. If the story were to end here, it would appear that Second Life users have natural rights over their creations; but alas, it is not so simple. This is because the natural right of property is not derived from the artificial nature created by Linden, but from the nature of human existence in the real world. Although some Second Life users may wish to deny it, Second Life is very much a part of the real world. Stubbornly rejecting this notion will not lead to any benefit, just as one who rejects the idea that the Earth is a sphere will probably never achieve space travel, and one who rejects the idea that water is necessary for human life will surely die of thirst. Given that goods in Second Life are in fact real, just like a kitchen table or an automobile, it quickly becomes apparent that they are very much like, if not the same as, intellectual property (IP). This observation complicates the discussion because it turns out that there is not a unanimous consensus among classical liberals on whether or not IP constitutes property from a natural rights perspective. Ayn Rand and others have argued that it does. 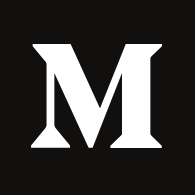 Taking the opposite stance, Roderick Long and Stephan Kinsella have presented lucid and concise arguments against the legitimacy of intellectual property. Adopting the view that IP is not property, one still runs into problems because goods in Second Life are not pure information; they are specific instances of information. Just as the line of reasoning presented by Long and Kinsella would allow a particular hardback book to be considered property as a scarce instance of information, so too might be the configuration of electrons on Linden's computer servers. Having stirred the pot of whether or not virtual goods in Second Life should be considered the property of their creators, I leave the reader with perhaps an unsatisfying conclusion: it is unclear. The uncertainty arises from the complexity of Second Life's terms of service, the fact that parts of the terms of service rely on the unnatural concept of IP as property, and the ultimate ambiguity of whether or not Linden, who owns the servers on which the goods are being created, ever grants title to its users for instances of information on its servers. It might be like a manufacturing plant, where the owner of the plant retains title to the goods being labored on by employees, or it might be more like a pottery workshop where the workshop provides tools, raw materials, and storage, yet the makers of the pots are granted title to their creations. My personal inclination is to say that it is more like the former and that Second Life users do not possess any natural rights over their creations. Consequently, I do not believe any economic intervention by Linden to be fundamentally unjust. Linden's ban on interest-paying banks may not be unjust, but that does not mean that it should be condoned. To draw such a conclusion would be to confuse morality with ethics. Just as one might believe, for instance, that it should not be considered a crime to smoke cigarettes, drink alcohol, or do hard drugs, one might at the same time believe that all three practices are morally objectionable and that they would all lead to suffering. So too, I believe that Linden's ban of interest-bearing banks is a poor policy, though I ardently respect their right to adopt it. I also have some sympathy for Linden in adopting this ban, as it might have been due to pressure from federal regulators. Because Linden falls under the jurisdiction of the United States, it is therefore subject to the threat of coercive force if it does not follow regulators' biddings. But sympathy aside, policies such as the ban on interest-paying banks incentivize further reckless behavior by users who have made foolish decisions, and they frustrate and hinder the entrepreneurs who are producing the goods that attract people to Second Life. Linden policymakers would do well to learn and memorize to look not merely at the immediate, but at the longer effects of any act or policy, and to trace the consequences of that policy not merely for one group but for all groups. Matthew Beller is a former employee of the Federal Reserve Board of Governors and currently works for the Securities and Exchange Commission in Los Angeles. In a panel hosted by the Metanomics series, one virtual banker remarks around time 19:50 that his bank, which has paid annualized interest rates of 44% and higher, had no loans underlying deposits. Whether or not there were any other assets underlying the deposits that could provide sufficient yield to pay the promised rates of return is uncertain. Murray Rothbard, What Has Government Done to Our Money? p. 27. According to official Linden statistics as of the end of November, 2007, the total L$ supply was about 3.9 billion Linden dollars. Using a rough calculation with the typical exchange rate of L$270=US$1, Linden has earned about US$ 14.6 million in revenues by selling these L$. As of January 17, 2008, the terms of service read, in part, "You agree that Linden Lab has the absolute right to manage, regulate, control, modify and/or eliminate [L$] as it sees fit in its sole discretion, in any general or specific case, and that Linden Lab will have no liability to you based on its exercise of such right." WASHINGTON -- The Treasury Department and the Federal Reserve are giving U.S. financial institutions an additional six months to comply with regulations designed to ban Internet gambling. The agencies said Friday that the new rules, which were to take effect Dec. 1, would be delayed until June 1 of next year. The rules seek to curb online gambling by prohibiting financial institutions from accepting payments from credit cards, checks or electronic fund transfers to settle online wagers. The financial industry complained that the new rules would be difficult to enforce because they didn't offer a clear definition of what constitutes Internet gambling. They had sought a 12-month delay in implementing provisions of the Unlawful Internet Gambling Enforcement Act that Congress passed in 2006. In a joint notice Friday, the Treasury and the Fed said several members of Congress had sought a delay, arguing that there was considerable support for new legislation to clarify current laws. According to the joint release, Senate Majority Leader Harry Reid (D., Nev.) and House Financial Services Chairman Barney Frank (D., Mass. ), among other lawmakers, sent letters expressing concern that the law doesn't contain a clear definition of "unlawful Internet gambling." Mr. Frank supports legislation that would roll back the 2006 law. He proposes allowing the Treasury Department to license and regulate online gambling companies that service American customers. Sen. Jon Kyl (R., Ariz.) and Rep. Spencer Bachus (R., Ala.), however, had opposed delaying compliance, for reasons related to "the speculative nature of the problems raised by petitioners, the associations and other interest groups," the agencies' release said. The two agencies said groups seeking a delay had provided sufficient reasons to justify a limited six-month delay. Financial organizations including the American Bankers Association had sent the agencies letters supporting a petition filed by gambling industry associations seeking a delay. In September, a federal appellate court in Philadelphia upheld the 2006 law, rejecting a challenge from an association of offshore bookies that the federal prohibition was too vague and violated privacy rights. U.S. bettors have been estimated to supply at least half the revenue of the $16 billion Internet gambling industry, which is largely hosted overseas. Vietnam devalued its currency, the dong, by roughly 5% against the U.S. dollar, while also increasing interest rates in a bid to damp rising inflation. The country's central bank raised its benchmark interest rate by one percentage point to 8%, effective Dec. 1. Wednesday's devaluation -- Vietnam's third since June 2008 -- reflects strains on the economy caused in part by aggressive stimulus spending and low foreign reserves. 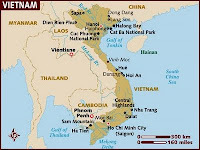 It also highlights differences between Vietnam and its regional neighbors. Vietnam is one of the only economies in Asia with both a fiscal budget deficit and a current-account deficit, a combination that puts pressure on the dong to weaken. Except for China, the region, along with other emerging markets such as Brazil, has seen its currencies strengthen this year as countries attract inflows of foreign capital. It isn't clear how deeply the latest devaluation affects the rest of Asia. In theory, other trade-dependent nations in the region could potentially see their exports undercut by cheaper Vietnamese competitors, especially as currencies such Thailand's baht and Malaysia's ringgit continue to appreciate, said Tim Condon, head of Asian research at ING in Singapore. Already, regional officials are complaining about the effect on their exports as their currencies rise against China's yuan, which remains steady against the dollar. Thai Finance Minister Korn Chatikavanij said in a telephone interview that Thailand might see "a marginal impact" on its textiles and garments industries following Vietnam's devaluation, but the government doesn't anticipate a specific problem. "Vietnam has done this before, but it didn't really impact our export growth overall," Mr. Korn said. The World Bank expects Vietnam's gross domestic product to climb a respectable 5.5% this year, compared with 6.2% in 2008. But the country's trade deficit continues to widen and dollar sales aimed at stabilizing the dong have shrunk foreign reserves to $16.5 billion compared with $22 billion at the start of the year, according to analysts' estimates. By contrast, Vietnam's regional neighbors, such as China, Korea and Thailand all have added substantially to foreign-exchange reserves this year. Last month, Vietnam's Finance Ministry warned the country likely would be unable to limit its trade deficit to its target of $10 billion in 2009 after hitting $8.7 billion in the first 10 months of the year. To keep growth expanding this year, the government has pumped billions of dollars into its economy through subsidized loans and infrastructure spending. Economists say that has stirred inflationary fears and further eroded confidence in the dong, leading to hoarding of dollars and gold. "This time our solution is to strongly intervene," State Bank of Vietnam Governor Nguyen Van Giau said. Early indications show the government moves were helping to stabilize the dong. Black-market traders in Hanoi reacted with relief, as if they had been braced for a much more sweeping devaluation some time in the future. After the devaluation plan was announced, black markets in Hanoi were offering dollars for 19,500 dong, compared with 19,700 before the central bank made its announcement. That compares with the official midpoint trading rate of 17,034 dong to the dollar on Wednesday, which will be set at 17,961 dong on Thursday following the devaluation. Credit-rating firms also reacted positively. "When all is said and done, macroeconomic stability and prudent policies are better for an economy in the long run than short-sighted efforts to generate an unsustainably high rate of growth," said Tom Byrne, a sovereign regional credit analyst with Moody's in Singapore. Vietnam is likely to boost interest rates further to contain any inflationary surge coming from the devaluation. Robert Prior-Wandesforde, chief Asian economist at HSBC in Singapore, expects to see interest rates reaching 11% by the end of next year. NEW YORK -- The U.S. Mint said Wednesday it will suspend sales of the popular American Eagle 1-ounce bullion coins as rising demand depleted its inventory. 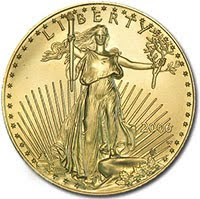 "The United States Mint has depleted its current inventory of 2009 American Eagle 1-ounce gold bullion coins due to the continued strong demand for this product," the Mint told its authorized dealers in a memorandum on Wednesday. November sales to date were at 124,000 ounces, higher than the 115,500 ounces sold in each month of September and October, the Mint said. The Mint said it expects to resume sales in early December. Increasing worries about inflation, a falling U.S. dollar and geopolitical tensions are prompting individual investors to take physical possession of gold coins and other bullion products due to the metal's appeal as a safe haven in financial and political crises. Gold hit a record high at just under $1,190 an ounce on Wednesday due to a broadly lower dollar and renewed interest from central banks. Year to date, the metal has risen more than 35 percent. Last year, the Mint had also briefly suspended sales of its American Eagle gold and silver coins due to high demand and a lack of coin blanks. 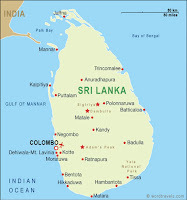 WASHINGTON -- The International Monetary Fund said Wednesday it had sold 10 tonnes of gold to Sri Lanka's central bank for $375 million, as part of a restructuring of IMF financial resources. It was the third IMF sale of gold in a month as the Washington-based institution, the world's third-largest official holder of the precious metal, seeks to reduce its dependence on lending revenue and bolster its finances amid the global economic crisis. 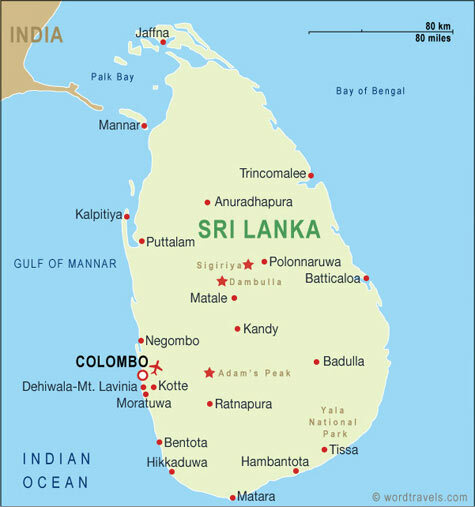 The IMF said the sale to the Central Bank of Sri Lanka was based on the market prices prevailing Monday. On November 2, the IMF sold 200 tonnes of gold to India's central bank for $6.7 billion, then sold two tonnes of gold to Mauritius on November 16 for $71.7 million. The IMF executive board approved in September the sale of 403.3 tonnes of gold. The fund, which currently holds roughly 3,000 tonnes of gold, is the third largest official holder of the precious metal after the United States and Germany. The IMF said it would sell gold directly to central banks and other official holders for an initial period before selling the remaining amount on the open markets "in a phased manner over time." For some time, I have been warning that apparently plentiful supplies of gold and silver bullion-priced coins and ingots could quickly evaporate. Last Thursday we saw the first signs of a looming shortage of physical metals when just about all U.S. bullion wholesalers were unable to accept orders for the South Africa Krugerrand. One primary distributor said they expected coins in a few weeks, which I think means that they are waiting for a shipment of freshly minted coins from the South Africa Mint. My own company had to discontinue accepting new orders until we could lock in a supply. 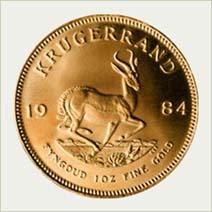 Tens of millions of Krugerrands have been struck since they were introduced in 1967. They are not rare. If demand for physical gold is so strong (and the World Gold Council last week reported that global third quarter demand was 15 percent higher than the second quarter) that they are no longer available, we could quickly see a domino effect where other gold and silver bullion-priced products also become sold out. We may see some temporary price dips this week as the gold and silver options expire. However, I fear that there is little time to lock in physical precious metals at reasonable premiums for quick delivery. But this is short-term news. There is also a longer term view to consider. Periodically, I have discussed reasons for owning gold that have nothing to do with direct consideration of whether prices are likely to rise in the future. This week at Thanksgiving I will include owning gold and silver as one of my blessings. After I bought both metals in the 1970s, it then enabled me to purchase a home in 1980 for a much lower cost than if I had not owned them. In more recent years, owning precious metals has helped me survive some of the ravages of the falling values of paper assets like stocks and bonds and the U.S. dollar. As I reflected on the blessing of owning gold and silver, it occurred to me that it has also better enabled me to protect and care for my children. Twelve years ago, the financial calamities in the Far East were so devastating in Indonesia that those who did not own gold were wiped out financially. Those who owned gold saw little impact on their standard of living. There are hundreds of thousands of Southeast Asian refugees in the United States today who survived because they owned gold to get them away from the governments that killed so many of their compatriots. Owning gold definitely helped them provide a better life for their children. After all the economic trials and tribulations of the past 30 months, it is not too difficult to imagine a world where U.S. dollars finally fall to the intrinsic value of the paper and ink used to produce them. In such a circumstance, all the dollars in your wallet, your bank accounts, your credit and debit card limits, and the like could become useless in providing for your children. There are a large number of potential gold buyers who have not yet felt the urgency to make their first purchase. Maybe it just doesn’t seem that important to you. If it isn’t, then think about any children or grandchildren you may have. Would you buy gold if it had the potential to someday improve your ability to care for their health and welfare? If you don’t yet own gold (or silver), then do it now. If not for you, then do it for the children. On November 19, the House Financial Services Committee advanced a bill that calls for the General Accounting Office to conduct a comprehensive audit of the Federal Reserve by the end of 2010. A 43-26 committee vote rejected a substitute proposal offered by North Carolina Democrat Mel Watt. Its provisions would have sanctioned retention of the long-standing ban against congressional scrutiny of the Fed’s monetary policies. Despite opposition from committee chairman Barney Frank of Massachusetts, the measure written by Texas Republican Ron Paul survived its first test. Success came because of 313 House cosponsors and a huge outpouring of citizen backing. Yet Frank claimed that the proposed audit would “be seen as weakening the independence of monetary policy with consequent negative implications." Frank’s opinion has regularly been buttressed by Fed chairman Ben Bernanke who urgently favors retention of the Fed’s independence. 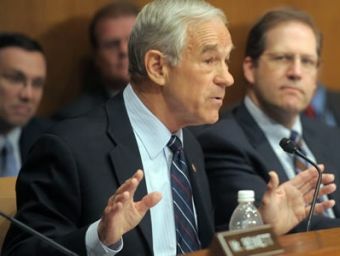 Practically all opponents of the Paul measure pointed to the need for the Fed to continue operating without oversight. Former Fed research specialist Michael Feroli, now an economist with JPMorgan Chase, urged the Fed to “do whatever it takes to stop this from going forward and eroding confidence in the Fed’s independence." But it is precisely a loss of confidence in the Fed that has generated unprecedented support for opening up the central bank’s books and supplying the American people with heretofore hidden information. The Fed certainly had a role in bringing on the current economic downturn. 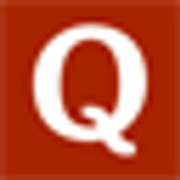 Chairman Bernanke’s refusal to answer questions about the Fed’s role has added more muscle to the growing demand for scrutinizing the Fed’s books. If the Fed has nothing to hide, detractors ask, why do its leaders and supporters fear scrutiny? Should the measure gain full House and Senate approval and a presidential signature (surely steep hills to climb! ), the Fed will have to bare details about its emergency lending programs, bailouts of financial institutions, dealings with like institutions in foreign capitals, and the process it employs in setting interest rates. Chairman Frank has sought to calm the fears of Fed supporters by indicating that the Paul measure will be “revisited” when the full House considers the bill. Piggybacking the measure onto another bill, such as the proposed Financial Stability Improvement Act, might be one tactic to undo it. Without doubt, roadblocks will be erected to gut the bill, and the big guns seeking to preserve the Fed’s vaunted “independence” will surely be trotted out as the measure proceeds through the legislative process. Few supporters of our nation's central bank care to note that the creation of the Federal Reserve parallels a call in Marx’s Communist Manifesto for “centralization of credit in the hands of the State, by means of a national bank with State capital and an exclusive monopoly.” The Fed was actually pushed toward creation in 1913 by President Wilson’s powerful and manipulative guru, Edward Mandell House, who earlier had written of his desire for “Socialism as dreamed of by Karl Marx." But note that Marx sought a central bank “in the hands of the state.” Those who created the Fed in 1913 went a huge step further and made it a private institution free of congressional scrutiny. Fed creators actually out-Marxed Marx by shielding it from examination. The result? Under its management, U.S. currency has lost 95 percent of its value, a trend that continues. The American people are being cleverly divested of their wealth. And power over what happens in our nation sits more with the Fed than it does with Congress. The American people need to know what the Fed has done and continues to do. Congressman Paul has also introduced a measure to abolish the Federal Reserve outright. His recently published bestseller End the Fed provides reasons why management of the nation’s economy should be terminated, fiat currency should be discarded, and commodity money reestablished. His efforts over many years, long considered extreme or even absurd by the establishment, have attracted enormous popular support as evidenced by the audit measure’s 313 cosponsors. What will happen as the audit bill moves through the congressional process is unknown. But the awakening of a large number of Americans to the secrecy and power of the Fed should already be considered a stunning victory for Constitution-minded Americans. MOSCOW -- Russia's Central Bank said on Thursday it is ready to buy 30 metric tons (965,000 troy ounces) of gold at market prices from the country's precious metals depositary, Gokhran, by the end of the year. Central Bank First Deputy Chairman Alexei Ulyukayev said the means of payment for the gold will depend on the requirements of the Finance Ministry and will probably be denominated in rubles. Ulyukayev played down fears that the timing of the purchase could prove unfavorable given the current high price of gold, currently over $1,000 per troy ounce on global markets. "They are at the peak levels relative to the previous period, but predictions of price dynamics vary," he said. The Central Bank's announcement to buy up gold comes amid increasing international assets held by the bank, which grew by $7.8 billion in the week of November 6-13 to $441.7 billion. The cash paid for the gold will be used by the Finance Ministry to cover next year's state budget deficit, predicted at 6.8% of GDP. This year Russia is running a deficit of 7.7% of GDP. Hans Landis was a radical Protestant who denied the authority of the Pope and preached strict fundamentalism. In the passions of the early 1600’s, that was like being a gold bug who denies the legitimacy of the central bank and preaches sound money. Tonight I’m going to approach the subject of gold from a somewhat oblique angle. Please bear with me as I circle in on it. Instead, the authorities saved their favorites, effectively merging bank with state. They did so under cover of a witches’ brew of subsidies, guarantees and quasi-nationalizations bearing bizarre acronyms like TARP; PDCF; TAF; TSLF; and my personal favorite, the ABCPMMFLF, otherwise known as the Asset-Backed Commercial Paper Money Market Fund Liquidity Facility. The vanquished were the heirs of a noble intellectual tradition, the English empiricist philosophers who developed in the modern era the concepts of private property and voluntary exchange. This tradition, which informed, among other things, the United States Constitution, was reinvigorated in the late nineteenth century by a remarkable succession of economists originally based in Vienna, hence the term “Austrian School” of economics. The Austrians, whose greatest exponent was Ludwig von Mises, and whose American voice was Murray Rothbard, developed a theory of economics based entirely on individual choice. Keynesian economics is just a modern mutation of inflationism, a stealth tax levied by powerful insiders on ordinary people who can’t see it happening until it is too late. It is music to the ears of interventionist governments, because it ratifies what, if unchecked, they will do anyway, and it preys on the greed and gullibility of its victims, who are more than willing to believe you can get something for nothing. Now I must concede, as a matter of historical fact, I’ve overdrawn the point. It wasn’t much of a fight, much less a war. The quacks had the field to themselves. They told powerful people what they wanted to hear, validating the intervention and deficit spending that was already occurring. They also had a head start of some 20 years, since it was not until relatively late in the day when the Austrians’ theories were even translated into English. Now, a detailed comparison of the two schools is just a bit beyond us this evening. But there are two contrasting theories that I’d like to mention briefly. The first such contrast is the theory of depressions. In Austrian teaching, so-called business cycles are caused by official interference with money and credit creation. This interference – for example, setting interest rates below market – fools individual actors into overproducing, creating supply that exceeds actual demand. A depression is merely the process of clearing the resulting imbalance. It is inevitable, and it is necessary. Left to itself, the market will clear the excess of supply over demand through price adjustments. Government at this point has no role to play; it has done quite enough already. In Keynesian teaching, by contrast, government is blameless in the business cycle, which just occurs naturally. In a depression, markets can’t be trusted to clear themselves through price adjustment. The government must step in and stimulate additional demand by means of deficit spending, more money creation, and more credit expansion. In Austrian teaching, money originates in the market: …all money has originated, and must originate, in a useful commodity chosen by the free market as a medium of exchange. The unit of money is basically just a unit of weight of the monetary commodity – usually a metal, such as gold or silver. Government has no role in the definition or selection of money, let alone its creation, price or quantity. That is the market’s function. According to Knapp’s theory, money is a creature of law, of state power. Money is whatever the state is willing to accept as payment for its taxes. It derives its value exclusively from the state. In fact, the State Theory was already defunct long before Keynes appropriated it. It had been demolished in theory as early as 1912 by Mises in his classic Theory of Money and Credit. It had been discredited in practice by its association with the German hyperinflation of the 1920’s. But inconvenient truth did not deter Lord Keynes. The State Theory was quietly incorporated into Keynesian dogma without further ado. The State Theory of money, the obscure foundation of modern inflationism, left us intellectually defenseless against our government’s incremental shift to fiat money and away from any practical limitations on its power. The short answer is, we don’t. There is no saving the dollar or the monetary system now based upon it. You have had direct exposure to the truth of this observation. Consider the relentless attacks on your gold by our authorities, and the relentless attacks on your bank secrecy laws by nearly everybody. The very same laws, ironically, that were developed in the 1930’s for the express purpose of protecting clients who were nationals of fascist states. Our financial and economic crisis will in due course lead to an intellectual and cultural crisis. We may yet avoid the fury and violence that have attended other paradigm shifts, other imperial collapses. But we will need to be very lucky indeed. That’s because on the one hand, this is about power which will not be voluntarily relinquished, and on the other, there is no reasoning with an angry mob. Because I think it’s impossible to understand gold without understanding its political dimension. Gold is permanent, natural money, the antithesis of money made from nothing, money backed by force alone. It is a potent symbol of private property; of voluntary exchange taking place outside the control of the state; of limits on state power; and of resistance to the runaway state. That is why gangsters who wield power in the name of the “people” always make ownership of gold a crime. So it was in France during the Revolution, in Germany during the Nazi era, in Russia during the Soviet era, in China during Mao’s rule, and in the United States from 1933 through 1974. It is why, even during periods when the ownership of gold is not outlawed, its price is ‘governed’, as one commentator puts it, or officially manipulated, as others of us put it. It’s often hard for practical men of affairs to understand the vehemence of those of us who assert, seemingly ad nauseam, that gold is money. The truth is, our passion has more to do with the concept of liberty than with that of money. We know from history and experience that once the free market has lost control over the definition and creation of money, individuals have lost their liberty. That’s why neither a central bank nor fiat money find support in the Constitution of the United States, and why our monetary system, which has these two elements as its very foundation, is unconstitutional on its face. It’s also why, as we rebuild our institutions from the wreckage of the final monetary collapse, control over money must at all costs be kept away from government. It is not enough that gold return as money; government must keep its hands off. Money must be real, tangible, circulating. As Mises wrote when considering the subject of monetary reform back in the 1950’s, “Everybody must see gold coins changing hands, must be used to having gold coins in his pockets, to receiving gold coins when he cashes his paycheck, and to spending gold coins when he buys in a store.” And I’m sure he would have added an approving reference to digital gold had the technology then existed. But creating the conditions within which an informed choice can be made, even – or perhaps especially - after the collapse of the system and the discrediting of its false ideology, will be extremely difficult. 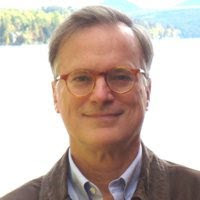 Robert Landis is a private investor and a member of Golden Sextant Advisors. He is also the Chairman of Amarillo Gold Corporation. 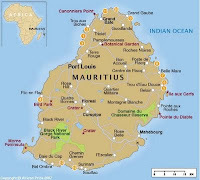 Mauritius bought 2 metric tons of gold from the International Monetary Fund, underscoring a drive by central banks to boost holdings as the precious metal trades near a record and the dollar slumps. The $71.7 million sale to the Bank of Mauritius was based on market prices on Nov. 11, the IMF said in an e-mailed statement yesterday. The Reserve Bank of India paid $6.7 billion for 200 tons from the IMF, according to a Nov. 2 statement. Gold has surged this year as the U.S. currency declines and investors seek to protect their wealth. Emerging-market nations, which have amassed stockpiles of foreign-currency reserves since the 1998 financial crisis, have shown increased interest in diversifying out of U.S. assets. “Investors at different levels feel more comfortable” with some gold in their portfolio, said Albert Cheng, Far East managing director at the World Gold Council. The purchase more than doubles the amount of gold held by the Mauritian central bank to 5.69 percent of its total foreign exchange reserves, from 2.34 percent at the end of October, the bank said in an e-mailed statement today. The acquisition partially reverses a decline from the 13 percent of reserves that gold accounted for on Dec. 31, 1979. Gold for immediate delivery is headed for a ninth annual gain and touched an all-time high of $1,143.60 an ounce yesterday. The metal, which traded at $1,134.32 at 9:46 a.m. in London, is the “ultimate currency,” Gijsbert Groenewegen, a partner at Gold Arrow Capital Management in New York, said yesterday. 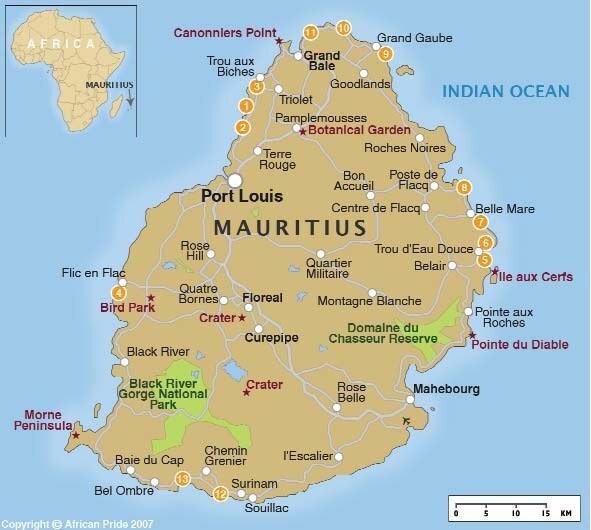 The Mauritian purchase is “another signal that emerging- market central banks are looking to increase their foreign- exchange allocation in gold,” Shane Oliver, head of investment strategy at AMP Capital Investors Ltd., said from Sydney. The Dollar Index, a six-currency gauge of the dollar’s value, was little changed today near a 15-month low. The Federal Reserve has cut borrowing costs to an all-time low while the U.S. government boosted spending to combat recession in the world’s top economy, fueling speculation the currency will be debased. The IMF sale forms part of a plan to sell a total of 403.3 tons to shore up the bank’s finances and increase lending to low-income nations. “The fund is standing ready for an initial period to sell gold directly to central banks and other official holders that may be interested in such sales,” yesterday’s statement said, repeating an earlier commitment. China, the biggest gold producer, has increased reserves 76 percent to 1,054 tons since 2003 and has the fifth-biggest holdings by country, Hu Xiaolian, head of the State Administration of Foreign Exchange, said in April. The world’s most populous nation may buy some of the gold now being offered by the IMF, Market News International said in September, citing two unidentified government officials. In early 2008 it was reported that at least some of the gold bars in the vaults at the National Bank of Ethiopia were fake. The discovery was made when bars shipped from Ethiopia to South Africa were returned after they were identified as being gilded steel. Gilded steel is a very unconvincing form of fake gold because the density of the iron alloy is significantly less. A steel bar identical in volume to the standard 400 troy ounce gold bars commonly used in bank-to-bank trades would weigh only 162.5 troy ounces (about sixty percent lighter). Anyone familiar with handling gold bars would easily identify them as fake. Even lead, a common heavy metal, is a poor substitute as it is only 59% the density of gold. One of the things that historically made gold so attractive to be used as money was its unmistakable density. Nowadays we know of several metals that have similar densities to gold, such as the heavier platinum-group metals. However, using these metals to produce fake gold is unprofitable due to their high cost. There are two metals that are suitable, from both a density and economic perspective, for manufacturing fake gold - uranium and tungsten. These metals aren't without their give-aways either. Different chemical and electro-magnetic properties exist. Uranium is of course radioactive. Tungsten is extremely brittle - the exact opposite of gold. Additionally, tungsten has the highest known melting point of any non-alloyed metal at 3422 degrees Celsius, making it difficult to work with. However, it appears that at least one high-temperature furnace is producing gilded tungsten products. "a coin with a tungsten center and gold all around it could not be detected as counterfeit by density measurement alone ... We are well accustomed to exploit more innovative applications of tungsten products. Gold-plated tungsten is one of our main products." This raises a few (somewhat rhetorical) questions. What kind of customer is this company looking to sell its imitation gold products to and for what purposes are they intended? Furthermore, what exactly are the "more innovative applications of tungsten products" that this company is hinting at? Mike Hewitt is the editor of DollarDaze.org, a website pertaining to commentary on the instability of the global fiat monetary system and investment strategies on mining companies. Reprinted with permission. The world should try to mitigate flaws in the dollar based global monetary system by reducing demand for dollar reserves and exploring alternative reserve assets, a group of economists from the International Monetary Fund said on Wednesday. The economists said the crisis had “brought to the fore” long-standing concerns about a system based on a single core currency issued by one country. They said the dollar-based system “suffered inherent weaknesses”. The US, at the centre of the system, was under pressure to run large current account deficits in order to supply the world with the dollar assets it wants, they said, while there was no effective discipline on either the US or countries such as China that have big external surpluses to adjust their policies. The report was published by the authors in their individual capacity and not endorsed by the IMF as an institution. But it comes amid renewed global focus on and dissatisfaction with the role of the dollar in the world economic system, following the experience of a crisis at the core rather than the periphery of the world system. The IMF economists said the crisis highlighted the “scale and volatility of global capital flows” that led countries to accumulate reserves to protect themselves against a sudden reversal in capital. But it also renewed questions about “anchoring the international monetary system on one country’s currency [the dollar] given the origins of this crisis in the US heart of the global financial system”. They said the current system was “something of a non-system” because some economies maintained floating exchange rates while others pegged their currencies to the dollar. The IMF economists proposed creating better alternatives that would allow countries worried about volatile capital flows to stop building up reserves. These would include helping to create private sector insurance-type markets to provide funds when they were needed, and an enhanced role for the IMF itself in providing reliable access to finance. The IMF has already taken steps in this direction through the creation of a flexible credit line for well-run emerging economies. But the authors note that the fund’s resources would have to be greatly increased to enable it to act as a credible lender of last resort for large economies. This could include a move to a system in which the dollar shared its leading role with a few other currencies such as the euro and possibly China’s renminbi. They also argued in favour of taking seriously the possibility that one day the the SDR, the IMF synthetic currency, might replace the dollar as the main reserve asset. However, in order to do this they said issuers would have to create large-scale liquid markets denominated in SDRs. Moreover, they said moving to such as system would be much easier if countries with large dollar holdings could exchange these for SDRs in off- market transactions with the IMF. The government holds the world's largest gold reserve, but even with gold prices at a record high, the Treasury is unlikely to sell. NEW YORK -- Gold is soaring to record high prices, and guess who has the biggest stash? Treasury's gold sits in vaults across the country. It holds about 25,000 bars in a vault five floors down, 80 feet below street level, in the New York Federal Reserve in Manhattan. The majority of the nation's gold reserves still reside in Ft. Knox in Kentucky. "Gold is gold," said Nathan Lewis, author of Gold: The Once and Future Money. "There's no real change in gold's value. Only the value of paper currency declines." "From the mid-14th century until now, you can draw a relative straight line in the purchasing power of gold, and every central banker in their heart knows that," said Judy Shelton, an economist and director of the National Endowment for Democracy. "Gold is universally recognized as a store of value. That's important because it denotes price stability." Gold had been the standard currency for international trade for centuries. In fact, the Federal Reserve vault in New York has compartments for different countries. When one country would trade with another, a "sitter" would simply move bars from one compartment to another, according to David Girardin, spokesman for the New York Fed. Gold's inherent value is buoying its resurgence in popularity. The comeback also raises important questions about the United States' own reserve position and the government's ability to maintain demand for U.S. Treasury bonds as the world catches the gold bug. Governments' dependence on gold has waned over the years, but they still hold 848 million ounces of it, down 29% from the 1965 peak of 1.2 billion ounces, and just 10% from the 942 million ounces they held 50 years ago, according to the World Gold Council. 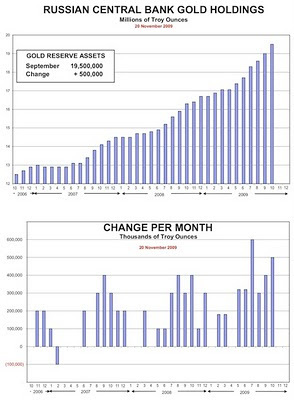 With gold selling at prices 26 times that amount, why doesn't the Treasury, and by extension, the Fed, realize those gains on their balance sheets by displaying the market value of their holdings? Or, with the gold standard abandoned, why doesn't the government sell off its reserves to put that money into the economy or pay off debt? "If we started selling gold from our official reserves, it would be recognized as a sign of weakness for the dollar," said Jeffrey Nichols, managing director of American Precious Metals Advisors and senior economic advisor to Rosland Capital. "America's relatively large gold holdings provide some psychological benefit to our currency." Another reason for Treasury to hold tight is gold's fluctuating price. Just ask British Prime Minister Gordon Brown. When Brown was the nation's chief finance minister a decade ago, he decided that gold had become relatively useless to the government -- without the gold standard, it was just an inert metal, and it was expensive to store. Brown sold off 400 tons, or 60% of the United Kingdom's gold, between 1999 and 2002. Brown's problem: Gold was selling at a record low inflation-adjusted average of $275 an ounce at the time. It turned out, had he waited 10 years, the U.K. would have made four times what it hauled in from the sale. "Geithner doesn't want to be the Treasury secretary that sells gold at $1,100 an ounce and next year it's at $2,000," said Shelton. Furthermore, a sale of all the country's gold wouldn't make much of an impact. With the nation's annual deficit at $1.7 trillion, a $787 billion stimulus package and a $700 billion bank bailout, $300 billion is kind of puny in comparison. "The Fed has plenty of tools to pump money into the economy; it doesn't need to sell gold to do it," said Lyle Gramley, a former Fed governor. "The government has its gold by historic accident, but there's no reason why they'd sell it -- there's no motivation." But most of all, a sale of the government's gold would be especially poorly timed now, since foreign central banks are lining up to add gold to their reserves. As a result, experts say a mass-sale of gold would mostly end up in other nation's coffers. "If the trend continues, that could reduce the demand for Treasury securities and bonds' book value would go down," said Shelton. The world's central banks are likely to be net buyers of gold in 2009 after two decades of selling, sparking a race among analysts to figure out which country will step in with the next big purchase. Since 1991, central banks have reduced their gold holdings by 10%. It is a trend that has long been cited as keeping an overhang on gold prices. Developed countries like Switzerland, the U.K. and the Netherlands all sold significant amounts of gold to diversify into other assets in pursuit of higher returns. India's $6.7 billion purchase of 200 metric tons of gold from the International Monetary Fund last month, absorbing half the amount the IMF put up for sale, was the largest purchase by a central bank in 30 years. Now the market is engaged in a guessing game about which central bank may buy the rest. Eugen Weinberg, an analyst with Commerzbank AG, is looking to China. Jeff Christian, managing director of CPM Group, a New York-based precious-metal research firm, says other Asian and Middle East countries may be likely candidates. Wei Benhua, a former Chinese official, was cited by Chinese-language magazine Caijing on Monday as saying China, Brazil or Russia may follow India in buying IMF gold. India's purchase has thrown central banks back into the spotlight as a potentially powerful force behind gold. Even relatively small changes in the balance of a central bank's reserves could have a drastic impact on gold prices because of the relatively small size of the market. This year could mark a "watershed year," Barclays Capital analyst Suki Cooper said in a note to clients. And, even though central banks mightn't be big buyers of the precious metal, the prospect of added demand may provide key support to the market, they say. China, Russia and Brazil have tiny holdings of gold relative to their overall foreign reserves, placing them among more likely buyers. China, for example, has just 2% of its reserves in gold, compared with the world average of 10.3%., according to the World Gold Council; and Russia is at 4% and Brazil 0.5%. The most logical buyers are countries that are running current-account surpluses and that don't have their own domestic gold production, Mr. Christian said. With a net inflow of dollars and euros every month, central bankers in these countries are worried about the growing exposure to these currencies and have the most desire to diversify into other assets. According to the IMF's International Financial Statistics, Malaysia, Singapore, Kuwait, Saudi Arabia and Venezuela are among other biggest surplus countries behind China and Russia. Typically, central banks hold a basket of foreign currencies, bonds and precious metals in reserve, using it to make international payments or adjust the value of their domestic currency. The U.S. dollar was considered the preferred reserve currency for decades. But the greenback's recent decline has spooked many countries sitting on big dollar assets. While China has become an obvious buyer, some analysts say the country is likely to buy production from Chinese mines rather than buy from the IMF. China, the world's largest gold producer, has $2.3 trillion in foreign reserve, with the majority in U.S. Treasury securities. Even a tiny shift in China's reserves toward gold could have big ramifications, says Andy Smith, a senior metals strategist at Bache Commodities, a subsidiary of Prudential Financial. That makes it likely China probably won't make any big moves, he said. For example, to increase its gold holdings to the world's average of 10%, China would need to buy $180 billion of gold, or about 5,400 metrics tons -- the equivalent of more than two years of the world's mine production. Gold prices would probably spike above $6,500 an ounce, Mr. Smith estimates, making the scenario highly unlikely. To be sure, the recent surge in prices may deter many banks from buying right now. Since the Indian deal was announced, gold has gained 5%. On Tuesday, gold for November delivery rose for the seventh consecutive day, settling at a record $1,101.90 per troy ounce. India said it paid about $1045 an ounce. India's purchase "highlighted in two ways the ongoing shift of central banks and governments from being net sellers of gold to net buyers, which we believe will likely continue to provide strong fundamental support for gold prices," analysts at Goldman Sachs said in a note to clients on Tuesday. As of September, central banks around the world kept a total of 26,297 metric tons of gold, equivalent to 11 years of global production, down from 29,214 tons in 1991, according to the World Gold Council. David Rosenberg, chief economist and strategist with Gluskin Sheff & Associates Inc., said he sees prices rising through $1,300 an ounce should China buy the remaining 203 metric tons of IMF gold.